and industrial clients across London and the home counties. This is the reduction of the overall size of the crown by removing the ends of the branches evenly throughout the crown by a specified amount to leave a balanced and maintained shape true to the species. Historically, the measurements have been specified as a percentage of crown (%), but due to revision 10 of the British Standard 3998 (BS3998) in 2011, crown reduction is now specified as a measurement of how much crown is being removed in metres (m) as opposed to a percentage. Thinning of the crown involves the removal of a proportion of secondary branches to produce a uniform branch structure without altering the size or shape of the tree. This improves light levels, shading, and reduces the resistance of wind & the loading upon the limbs of the tree. Crown lifting is the removal of the lowest branches or sections of the lowest branches to give a uniform branch structure. In the UK, Highways Regulations state that the clearance over a highway must be 5.5m and 2.5m over a footway. Felling is the complete dismantling of a tree. The stump will be left as close to the ground as possible, but will be above soil level. Trees are felled either in sections using a lowering system or handheld sections, or in some cases, felled from ground level in one section, depending on the situation. Coppicing is the art of cutting trees and shrubs to ground level or a chosen level, allowing vigorous regrowth for a sustainable supply of timber. Without training and pruning, fruit trees will not develop proper shape. Properly trained and pruned trees will yield high-quality fruit much earlier in their lives and live significantly longer. This is the removal of all branches from the trunk to leave a standing pole or hot stand. Re-pollarding is the removal of all new growth in an urban environment such as street trees. Whether it is reducing the height, width, planting, or trimming on an annual basis, Treeline Services Ltd are equipped to carry out any hedging operations. This procedure involves the removal of deadwood from the canopy of the tree. This can either be specified as the removal of major deadwood only or removal of all deadwood. 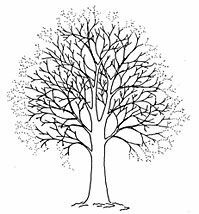 Treeline Services Ltd can supply and plant most trees, shrubs, and hedging plants. We can also arrange a programme for watering, mulching, and adjusting the stakes as the tree/plant grows. Air spading is a specialist, state-of-the-art piece of equipment that uses compressed air to remove dirt from a given area while leaving all the tree roots undamaged. Recent projects have included excavating foundations for large development projects in close proximity to protected trees and root investigation works, following the installation of services close to trees to ensure that the trees roots are not damaged and the trees have not been made unstable. Our trained and competent operatives are able to treat Oak Processionary Moth (OPM) nests using environmentally friendly equipment and with minimal risk. We are also able to remove & dispose of nests safely to an approved incinerator in line with the Forestry Commission's guidelines. Stumps can be ground into chips using a specialised machine to a specific depth below the existing soil level. Smaller roots spreading out from the main stump will usually be left undisturbed in the soil but the main buttress roots will be chased out. The resulting soil/chip mixture will be left tidily at the position of the original stump, unless otherwise stated. Treeline Services Ltd can supply seasoned hardwood logs all year round. Logs are sold by the ton bag and can be delivered at fairly short notice. Delivery is usually free of charge to most of Surrey including areas such as Dorking, Leatherhead, Ashtead, and Guildford. Treeline Services Ltd provides the following consultancy services. Our expertise is endorsed by many years of vast experience in the Arboricultural industry along with qualifications such as National Certificates in Horticulture, specialising in Arboriculture and Professional Tree Inspection. Trees are living organisms whose condition can change rapidly. The health, condition, and safety of trees should be checked on a regular basis. We can provide comprehensive management plans. External observations are limited, therefore sonic or resistograph tests can be made. 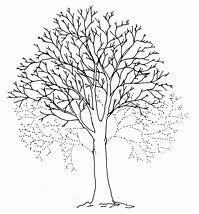 All tree owners have a ‘duty of care’ to ensure their trees are in a safe condition. Our inspections provide conclusions on tree health, condition, and safety. Our recommendations are covered by insurance and provide remedial actions to abate or lower any risk or hazard. Most developments within close vicinity to trees require a British Standard 5837 (2005) report to be submitted with any planning applications. We can provide a comprehensive report in accordance with the standard to work hand in hand with the development process, which includes tree constraints, design implications, and tree protection during construction and recovery. An understanding of botany, pest, and disease identification is essential knowledge at the basis of all arboricultural practices. For example, certain tree species are only host to certain fungi, which vary in severity of decay. We can provide replacement options and ideas to the replanting of such an area, should any trees need to be removed. 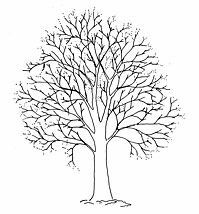 We also offer advice on the management of trees and tree planning applications. Contact us in Dorking, Surrey, to find out more about our tree services, which include fruit tree pruning and other convenient solutions.